Ryder has an impressive catalog of Sunglasses, the catalog cover all needs a runner possible can ask for high quality sunglasses to reasonable pricing. We tested Striders and Saber. Fit: Stiff/rigid construction leads to some discomfort around the ears after long-term wear. The shape of the bridge/nosepiece was visible when the glasses were on, leading to a noticeable black spot in my field of vision. The lenses did not touch my face in any way, but the frames rested on my eyebrows, leading to a steady stream of sweat down the lenses after a few miles. Sun Blockage: These glasses feature photochromic lenses, so they don’t get as dark as the lenses on other glasses. In full sun, they darken a fair amount, but not quite enough for my liking. Venting/Antifogging: Aside from the noticeable sweat streams, these lenses stayed free of fogging. Best For: Mixed light conditions on colder days when sweating won’t be as much of an issue. These would be an excellent go-to option for winter runs with partly sunny conditions. Drawbacks: Rigid frames, not ideal for full-sun. 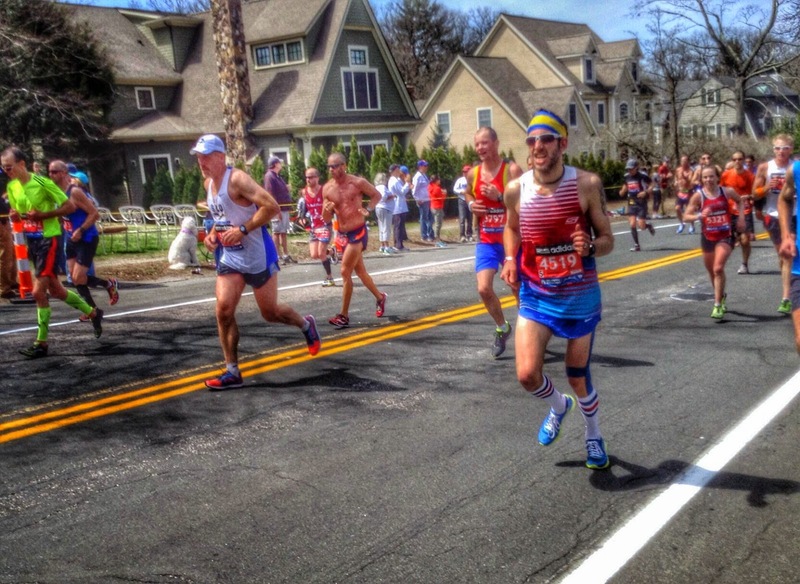 The Striders were my choice for Boston marathon, so no doubt about it. I 'm a fan of this product. Very sleek design. Sits really well on your face during run, no bouncing around. As I mentioned Striders were my choice for Boston marathon and it passed the test with an A+ on this sunny Monday with 70 degrees weather. Design is great, you get fast feeling and fast look (if that matters) and the sunglasses "disappear" during your run. Sun Blockage: Striders came with a photocromic lens. The lens respond great to a sunny run and block the sun very well. lens feels a bit to dark on a cloudy day. Venting/Antifogging: 3 hours of running in Boston during Boston marathon and no problems with fogging. I would say that Stryder fog free Sunglasses. Great products with the right price tag. Striders offers a fast sleek design. That fit well and disappear during your fog free run. Photocromic lens works really well and offer protection from sun and glare. Drawbacks: If you have a bigger face, Striders might run on the smaller size. Other then that none! Thanks for the review. I want this to be in my collection of photochromic lenses eyewear.